His turn would be the next week. We counted the days. Seven. The next day Micah asked, “Is it my turn tonight?” When you’re four years old, seven days is an eternity. That afternoon when I picked up Micah, he jumped down his back porch steps and said, “Let’s go!” His bulging black backpack was strapped over his shoulders. He carried a Lightning McQueen stuffed red car and a stuffed monkey and declined my offer to carry anything for him. “Micah,” his mom called from the back door, “did you pack pajamas?” He did. “Underwear?” Yes. “Clothes for tomorrow?” Yes. “How about a good-bye hug?” Micah, already buckled by a seat belt in my van, held out his arms toward her and she came to him. At our house, Micah dumped his backpack and “stuffies” beside the twin bed that he’s claimed as his and headed to the playroom. His mother’s and uncle’s plastic Fisher Price playhouse and garage are favorites. My Grand lay on his stomach and parked small cars on the top level of the garage and turned a handle to rotate the cars. After supper, Micah asked, “Can I take a play bath?” I agreed and said he could wash too, but he explained, “It’s just a play bath. No washing.” By the time my Grand decided he was finished playing, the bath water was cold, and all his body had been under soapy water he’d created by scrubbing rubber ducks so his play bath turned into a soaking clean bath. Micah threw many books onto his bed and climbed on it. “Sit here, Gran. Let’s read,” he said and he scooted to one side. We agreed on three books and I read them as we sat together. My Grand clutched his sleeping friends, monkey and Lightening McQueen, and snuggled under the covers. We named good things that had happened that day and said goodnight prayers. “Will you scratch my back?” Micah asked. Fifteen minutes later, I stopped moving my fingers across his back, and Micah half-opened one eye just to let me know he wasn’t asleep. Soon he was. If I hadn’t spent nights alone with my grandmother, I might not understand Micah’s eagerness to stay with Husband and me when we don’t do anything special. But I did and I do. My early morning routine was disrupted last week. Most mornings I awake early, drink a cup of coffee alone, and gather thoughts of inspiration. An hour that’s all mine. And I need it. 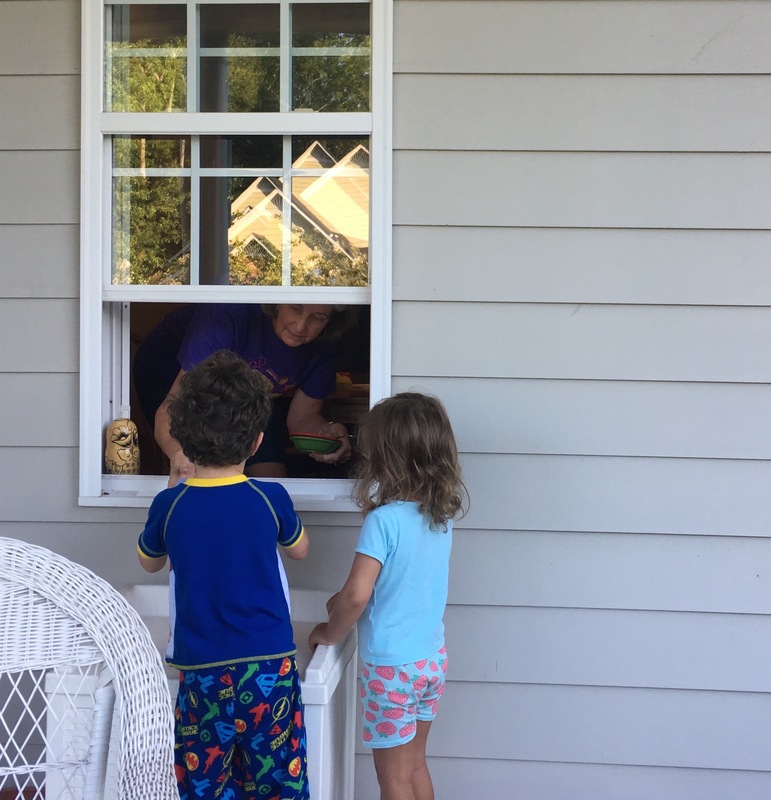 But Tuesday morning at 6:05 a.m. as I shuffled from my bedroom to the kitchen past the upstairs stairwell, I hear a soft voice say, “Hi, Gran.” Two Grands, who live an airplane ride away, held hands and stood halfway down the steps. Neil, age 5, wore his Super Hero pajamas and grinned from ear to ear. Three-year-old Ann sucked hard on her pacey (big girl pacifier) and rubbed her eyes. Their big brother and parents were still asleep. “Good morning, Neil. Good morning, Ann. Come on down,” I whispered. My Grands walked slowly. I held my arms wide and they nuzzled their heads on my shoulders. Those few moments froze in my mind, my heart. I hugged until my Grands wiggled from my arms. “Go potty and then we’ll sit on the front porch and drink juice,” I said. Both raced toward the bathroom and it amused me that being first is important. “I’ll go first Ann. I’m bigger,” Neil said just before he closed bathroom door. These two Grands didn’t know about my pass-through kitchen window that I wrote a column about a few weeks ago. “Come to the kitchen. I have something to show you,” I said. Two small plastic glasses, 1970s vintage Snoopy and Strawberry Shortcake, and my coffee cup were on a tray. “Can we take juice outside?” Neil asked looking out the window at the table on the front porch. I raised the window that didn’t have a screen. “How about we set the tray on the porch stool and not carry anything outside?” My Grands clapped their hands. Sitting together on the front porch, Ann, Neil, and I talked about sounds. Trucks on a big highway. Birds chirping. We saw dog shapes and circles in white fluffy clouds. Neil told about the big ugly monster that was in his bad dream. Ann said she just slept. Son joined us at the table. “Daddy, guess what? Me and Ann didn’t walk out here,” Neil said. “We climbed!” Ann said. And, my Grands raced into the house, their daddy followed to raise the window, and Ann and Neil climbed out again. So upon rising that day, I immediately kicked into second gear to pour juice and enjoy two young Grands. Later, I hit high gear and stirred pancake batter. I’d trade my normal quiet morning of solitude for a morning with Grands anytime. Any day. Not all gifts are wrapped in shiny red paper. Not stuffed inside a gift bag. In September, I called Son and offered that he and Daughter 2 (some say daughter-in-law) take a mini-vacation while Husband and I stayed at his house. An offer of two nights away from home, from their three children, ages six, four, and two, and their dog, Baxter. A time to celebrate their wedding anniversary. These three Grands were all ours. Time to play and read and take walks and build wooden cars. To giggle and sing silly songs and tell Purple Cow bedtime stories. To wrap small clean, wet bodies in towels and help wiggle into pajamas. To rub backs at bedtime and cuddle in bed early mornings. To bend the house rules a bit and bribe with Skittles. Co-commander Dean asked, “So how many Skittles is that?” after all 60 of the yarn snowballs had been picked up. And he followed me to the kitchen to be sure I put five in the jar. The Skittle jar sat beside the list of suggestions and advice Son and Daughter 2 had written. Schedules. Neighbors’ phone numbers. Bedtimes. Meal menus. Favorite play activities. TV cable channels. Baxter’s feeding directions. How to cook a hot dog so Dean would eat it. Snacks Ann likes, but Neil hates. What to pack in Dean’s school lunch bag. Every moment with our Grands wasn’t perfect. When Ann and Neil had breakdowns, Husband and I fumbled for reassuring words, but we knew hugs smooth toddlers. And we struggled through Monday morning to get Neil to preschool and Dean to the school bus stop. I cherish the time that Husband and I had with Dean, Neil, and Ann. That’s the gift. Our Grands’ parents gave us their children for two days and nights. They trusted us. And they left another gift: detailed lists so we didn’t have to call them, not even once. You Let Them Do What? Who serves ice cream for breakfast? Who lets children jump on furniture? Who watches the same movie fifteen times? Who pays children for jobs that don’t even need doing? We grandparents plead guilty. Not all grandparents to all charges, but some. I asked Facebook friends what do grandparents let grandchildren do that they as children weren’t allowed to do. And friends responded. So many breakfast choices. Caroline’s grandfather served ice cream topped with Fruit Loops and told her mother that they ate cereal. Nell’s grandchildren eat fudge for dessert after breakfast and her own children never heard of breakfast dessert. Karen’s mother made chocolate pie and chocolate pudding for her grandchildren’s breakfasts. Grandparents offer sugar-coated cereal to grandchildren and parents say it wasn’t even in the house when they were young. Milkshakes with sprinkles are a meal and one grandmother even serves ice cream to her grandchildren for any meal – not as dessert, as the meal. Sara’s mother keeps mini ice cream sandwiches and brown cow ice cream bars, just for the grandchildren. And if grandchildren don’t like what is served for supper, they can refuse and choose something else. Grandchildren jump on beds and if they jump onto a CD player, it’s okay. One grandmother admits that she protected an antique coffee table and her daughters weren’t allowed to put their feet on it. But her grandchildren sit in small chairs and eat at that table, with placemats, of course. Brenda admitted that her grandson eats what he wants, when he wants, goes to bed when he wants, chooses television programs and movies, and has her undivided attention. And grandparents are shoppers. When they shopped, Deloris’s grandmother always bought her a new outfit and any toy she wanted. Grandparents take gifts to grandchildren every time they visit. To go one generation further, one great-grandmother didn’t allow her children in the fancy living room. And when grandchildren opened their Christmas gifts in that room, no food or drinks were allowed. But that room is the great-grandchildren’s gymnastics room where they turn somersaults and pretend to be airplanes. And it’s okay to eat cookies and drink juice in the living room. 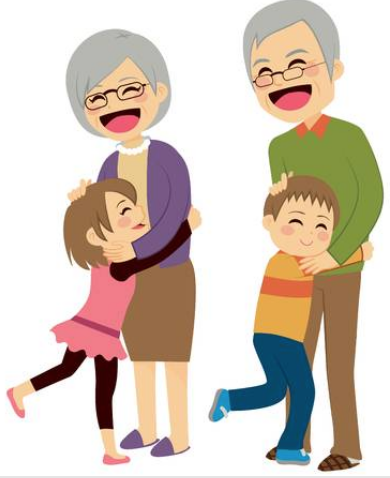 So what do parents think of grandparents relaxing the rules? 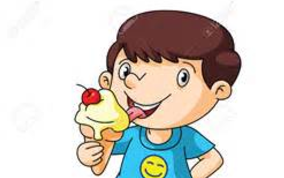 Here are my two favorite comments: I didn’t get to eat ice cream for breakfast, but I’m happy Mom lets my kids! Let it be said, I fully intend to do the same when my tribe grows up and brings me some grandbabies! All parents may not agree, but I hope my Grands’ parents do. When I give my Grand a block, he makes it a car, rolls it on the floor, and says, “Vrooooomm.” I watch Jess, two years old. He lays flat, stomach and head on the floor, and rolls the pretend car just inches from his nose. After a few minutes, Jess throws the block onto the floor and gets two Hot Wheels cars from our toy shelf. Then back to prone position. Clutching a car in his right hand under his stomach, he rolls the other car with his left hand. Back and forth. “Vroom. Vroom. Vrooooomm,” he says. I want to freeze these minutes when my Grand is totally engaged in a simple game. Jess, the youngest of five, visits Husband and me and we relish that we can play with just him. And our Grand seems happy to play alone and have Pop and Gran all to himself. When I say it’s time for a snack, he runs to the kitchen table, holding a Hot Wheels in each hand, climbs into a booster seat on a kitchen chair, and shouts, “Fruit!” His one-word sentences sometimes sound like demands. He swipes his hand across his chest, an attempt to move his hand in a circle, which signifies please in sign language. Jess helps me peel a tangerine, remove the stringy white pith, and divide it into segments. His small fingers pick off every tiny white string before he plops a segment into his mouth. “More!” he says and swipes his chest. Outside, Jess runs toward a rubber playground ball. He accidentally kicks it and it rolls away. He runs again. Picks up the ball and throws it and runs toward it. When I pick up the ball and suggest we roll it back and forth to each other, he grabs the ball and runs. “Mine!” he shouts. Yes, it’s all his and it’s his game until he’s tired and lays his head against my legs. Much too soon, it’s time to take Jess home. My fingers don’t manage the belt on his car seat well and my Grand sits patiently. He’s tired and I sing a silly song, “I’m fastening your seat belt, seat belt, seat belt.” Finally, he’s buckled in and Jess claps his hands, kicks his feet, and laughs. “How about a lake trip? The boys will love that. Maybe a little fishing with Pop?” This was Son’s email response to my inquiry of what his family would like to do during their three-day visit with Husband and me. A lake trip. On a pontoon boat at Center Hill Lake. The boys. Dean, age 5 and Neil, 3. Neither had ever been on a boat. Fishing with Pop. Pop, aka Husband, last took someone fishing more than thirty years ago. Yes, of course, a day at the lake and fishing would be a perfect outing for Son’s family: Dean, Neil, fifteen-month-old Ann, and Daughter-in-Law. Husband and I would make it happen. We made our list. Borrow toddler size life jackets. Make sure the pontoon boat was ready. Buy groceries for a picnic lunch. Fishing license. Fishing poles. Bait. When Son and family arrived on Sunday, he and Husband shopped. Two adult fishing licenses: $25. (Husband’s senior license was only $5) Two cane fishing poles, crickets and nightcrawlers: $13. Right after breakfast Monday morning, we loaded up everybody, life jackets, lunches, water bottles, towels, diapers, changes of clothes, sunhats, sunscreen, sunglasses, fishing poles, and fishing bait, and we headed for the lake. I could leave out a major glitch, but it’s typical of a lake outing. The day before our lake trip, Husband and I had vacuumed the boat floor and scrubbed insect droppings off the seats. And then we discovered the boat battery was dead. So the morning of our lake trip, Husband drove alone to the lake to install a charged battery. Son’s family and I arrived at the boat dock parking lot thirty minutes after Husband and he greeted us with these words, “The boat still won’t start.” I’m not sure if Son or I was more disappointed. I kept smiling and helped zip and fasten lifejackets on the Grands. “We can fish from the boat dock. We’ll swim somewhere else. It’ll work out,” I said with forced enthusiasm. Husband made a phone call to a friend who has a boat at the same dock and it did work out. As we pulled away from the dock with three smiling Grands, I was thankful for our friend who loaned his boat on a minute’s notice. “Can I catch a fish now?” Dean asked. “Later,” Son said. “We’ll ride on the boat and then stop and swim. Then we’ll get back on the boat and eat lunch. And then fish. Look at the blue heron.” We adults were more awed than the Grands by the heron. That Monday morning, we had the lake to ourselves. Not another boat in sight. Our Grands sat still and wide-eyed. They laughed as the breeze blew in their faces. The water was perfect for swimming, warm and calm. Dean and Neil jumped from the boat into the water to their parents’ outstretched arms. Ann wasn’t happy when it was her naptime and she was encased in a tight life jacket and hot. Husband and I took turns trying to entertain her, and she, too, was finally happy when she got in the water with her mother. “Get in, Gran!” Dean shouted. As Dean and Neil and I lay in the water like starfish (on our backs, arms and legs stretched out) I felt that all over joyful feeling. When all is right with the world. 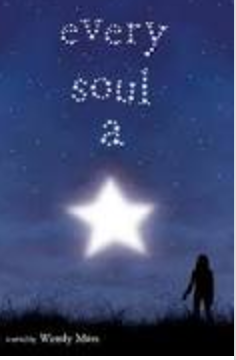 When heart and body and soul are one. The best life offers. “Gran, can I catch a fish now?” Dean asked. To be continued: first lake trip, part two and fishing.